After years of running an ecommerce business myself and speaking with and masterminding with 6 and 7 figure private label sellers, I’ve learned a lot about what things to do right. And also what common mistakes sellers make that could sink their business. I’ve observed that these mistakes or deadly sins seem to come up over and over again. So today, I’d like to share with you the 7 Deadly Sins I’ve noticed many private label sellers commit… myself included. These are bad habits and missteps that will significantly DECREASE your chances of success. Any one of them could potentially sink your business before you even begin. When choosing a product, I simply enter some search parameters into a research tool and out spits the perfect and profitable product to source and sell, right? 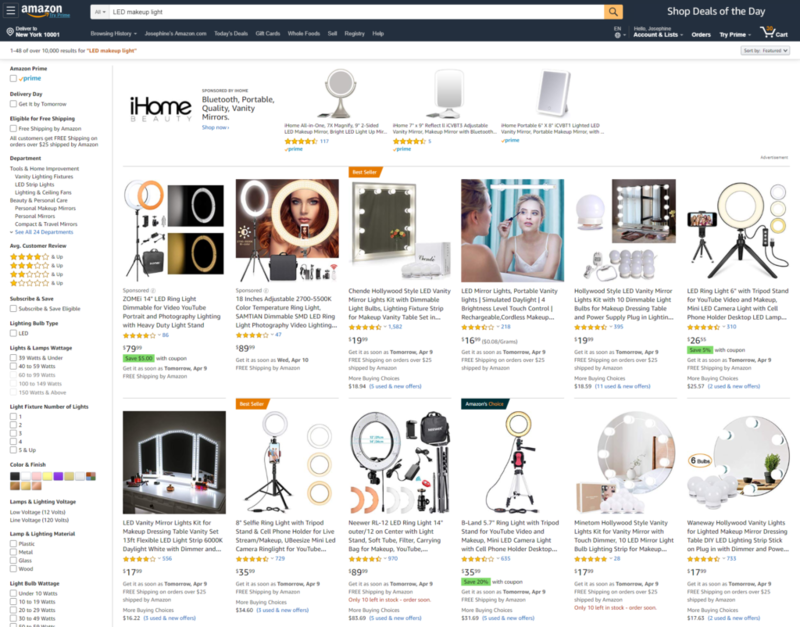 While this may have worked in 2016, fast forward to today, with thousands of new competitors jumping into the crowded private label market on Amazon every day, if you simply choose a “me too” product like everyone else, then this is a recipe for DISASTER. Why? Me too products are simply copy cat products that have little to no differentiation. So if you sell the same LED makeup light as everyone else without making any improvements, then you are going to have to compete in a price war. It’s a blood bath. A Red Ocean. A race to the bottom and you definitely don’t want to be the winner in a price war because that’s not a profitable formula for success. 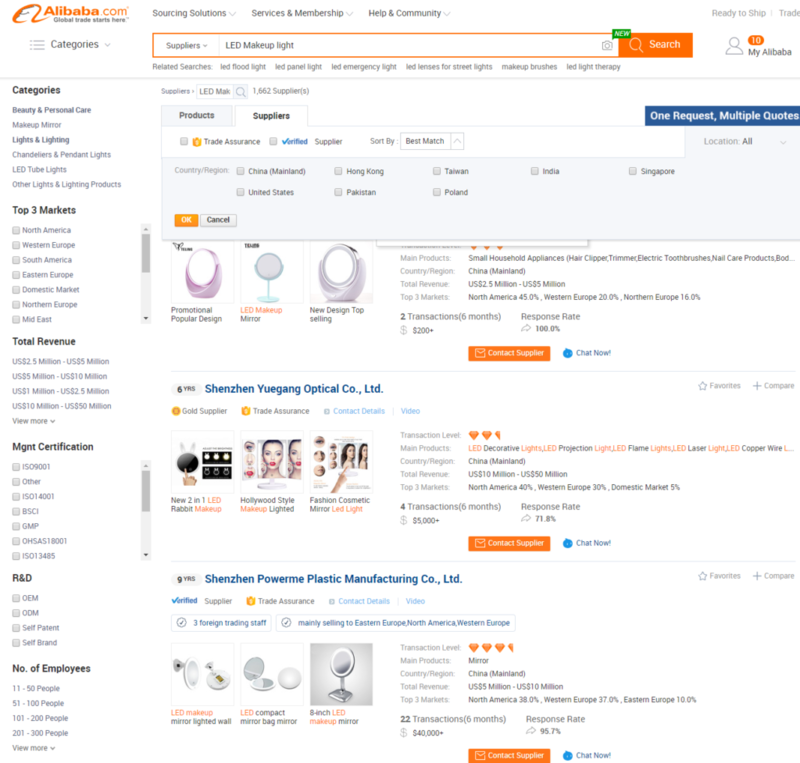 Don’t get me wrong – product research tools can be extremely valuable to validate product demand, do market research on a niche, find out the difficulty level of competition in this niche, estimate product pricing, and more. HOWEVER I believe that many people are using it the wrong way. They are reversing it and are relying on it to generate product ideas. Why is this the wrong way? Because if you start at the same place as everyone else using the most popular tool on the market, you end up at the same place as everyone else. And what could look like a lucrative product TODAY can be a flooded market 3 months from now by the time everyone else found this perfect product has sourced, shipped, and starting selling it on Amazon. So when it comes to product ideas or any general business ideas, many people try to take a shortcut but this is very dangerous because you could be walking down the wrong path to disaster. This is a classic rookie mistake I see a lot of new private label sellers make. When sourcing a product and evaluating suppliers, they overly focus on price or even ONLY consider price. The time-tested principle of “you get what you pay for” is certainly true in this case. Choosing the “cheapest” supplier hawking their LED makeup light could mean that this product has the worst quality. It could mean that the lighting is crap and will break easily. Or it could mean that the build and/or finish will make it look like junk. In all, going too cheap will drastically increase your risk of getting a poor quality product, that customers will leave a negative review for, and that will definitely hurt your chances of success selling a private label product. I’ve said it before and I’ll say it again – finding a trustworthy supplier is a lot like dating. You probably aren’t going to fall in love and marry the person you first meet or connect with online. It makes sense to meet a couple of people first, get to know them better, take them out to dinner or go to the movies, before you jump ahead to tying the knot. So why do so many people immediately fall in love with the first product they find? Seth Godin says that you have to come up with a lot of bad ideas before you can come up with a good idea. I find that a common mistake that newbies make is they search for one or two products and they stop and choose one and that’s it. The problem is human nature. We are all lazy and don’t want to do the work. Let’s get real for a moment. The first product idea probably won’t and shouldn’t be the one you finally decide on. You need to look at a good sample size of products before you can find one that meets the criteria you need in a profitable product. So don’t fall in love too fast! When I found a supposedly profitable product in sleeping bags several years ago, I was very excited about this product. I did all the research, made improvements, and customized the product to my liking. But I was overconfident. Instead of placing a small trial order, I went all in and spent nearly $20k on the trial order. After I launched, it was a tough battle. It was difficult to compete on price with the high product cost. And the improvements I made were difficult for customers to tell when skimming through product searches. In the end, I had to cut my losses and liquidate this product. The lesson learned here is not to spend too much in a trial order so that you can place a larger order later if the product sells well and you can cut your losses without too big of a financial impact if it doesn’t sell. Let’s be honest for a minute here. Finding a trustworthy supplier can be a lot of work. Constantly monitoring emails and messages can make you feel like you’re stuck in Alibaba Hell. So many newbies want this to be over with quick. So they think that once they’ve contacted one or two suppliers they’ve already found MR RIGHT. And they’re ready to place the order. There could be some problems with the suppliers’ quality but they seem pretty helpful and nice and they think they can work things out. The truth is it was love at first sight and they’re blind to these problems. And these problems can seriously derail your business right if you don’t address them correctly. We’ve all been guilty of this. You’re ready to pull the trigger on the order but you keep second guessing yourself. Maybe the other supplier is better. Or I need to double check the details one more time. Being detail-oriented is one thing. But over-analyzing to the point of losing time and opportunity is another. Jeff Bezos makes it a point of taking a decision when he has 70% of information available. He doesn’t wait until he’s 100% certain. Not even 90%. Bezos says that you can learn more by course correcting after taking a decision. Otherwise, the opportunity cost is too great. Every day you sit out means another day of potential sales going by. And another day that a new competitor might jump into this niche and that you will have to overcome. I’m not saying that you should be hasty but once you’re ready to take a decision, then you need to take action. So those are the 7 deadly sins that will sink any private label business. Now, I’m curious – which of these sins have you committed? And how did you overcome them? Or are there any other sins I’ve left out?